Britain and the rest of Europe are in a mess. Our economies are failing to deliver higher living standards for most people – and many have lost faith in politicians’ ability to deliver a brighter future, with support for parties like UKIP and France’s Front National soaring. After the longest and deepest recession since the Great Depression of the 1930s, and even with exceptional monetary support, the recovery is the flimsiest on record: the eurozone is sinking into deflation, while Britain is inflating yet another housing bubble. Much of Europe remains lumbered with broken banks and crushing debts. Most of Europe suffers from record-low investment and feeble productivity growth. All of Europe is ageing fast – and without immigration most countries’ workforces are set to shrink. Depressingly, an overwhelming majority of Europeans think their children will have a worse life than they do. Are stagnation, decline and disillusionment inevitable? If a brighter future is possible, what needs to be done? Should the rest of Europe try to emulate Germany? Or are there better economic models? The present economic pain and fear of the future are poisoning politics too. Many people have lost faith in seemingly self-serving politicians, EU technocrats and elites in general, all of whom have so far failed to solve the crisis, let alone to set out a compelling vision of a brighter future. Social tensions within countries are multiplying, as are political frictions between them. Understandable anger at the flagrant injustice of bailouts for rich bankers and budget cuts for poor schoolchildren overlaps with a despicable scapegoating of outsiders, in particular immigrants. Scots will vote on whether to split from Britain in September 2014, Catalans from Spain in November. Germans and Greeks are at each other’s throats. The project that binds Europeans together – the European Union – has never been more unpopular; Britons may even vote to leave. The EU’s crowning achievement, the euro, is increasingly perceived as a sadomasochistic straitjacket. This anti-establishment, anti-foreigner, anti-EU mood is fertile ground for extremists and snake-oil salesmen. In May’s European elections, xenophobic and reactionary parties look set to do exceptionally well. Worst of all, many are losing faith in democracy itself. As a critically acclaimed author who was until recently a senior policymaker, Philippe Legrain has a unique combination of insider knowledge, intellectual authority and independent perspective that make him ideally placed to explain why things have gone wrong – and how to put them right. 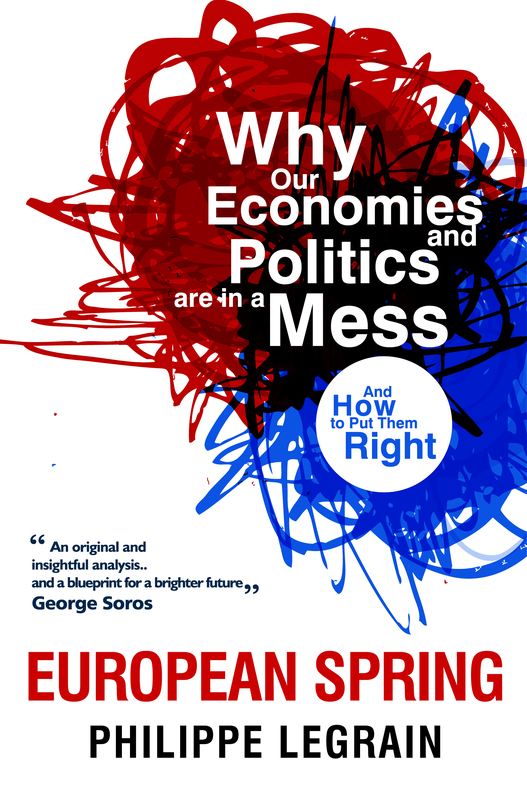 In this brilliantly original and passionate book, he explains why we need a European Spring: economic and political renewal. Philippe Legrain provides an original and insightful analysis of what has gone wrong with Europe’s economies and politics and a timely warning that the crisis ultimately threatens our open societies. Better still, he provides a blueprint for a brighter future and how to achieve it. A splendid book on the European malaise. Legrain argues compellingly that policy makers’ response to that crisis was and remains a disaster. He warns that the eurozone is still far from healthy and that the German example, which members are supposed to follow, is a delusion. He notes, too, that the UK’s recovery is built on sand. He goes well beyond this to show that radical reforms are needed to produce an “adaptable, dynamic and decent” Europe. A well-informed and blistering critique of errors made by European policy makers since Greece revealed the extent of its fiscal woes in 2009-10. It is essential reading for those who wonder how an economic powerhouse managed to stumble into a sovereign debt crisis that ended up threatening its very existence. Philippe Legrain convincingly argues that euro-zone policymakers made several big mistakes: there was too much fiscal austerity, they were too slow in trying to mend the banks and the European Central Bank delayed for too long in becoming a lender of last resort. The euro may have survived, but the system remains unstable and Europe still needs a lot more reform if it is to prosper. 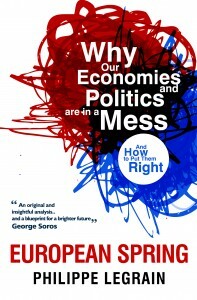 A useful and well-written popular look at the European economic mess. A spirited and readable account of the biggest policy failure to have afflicted the European project since its inception almost 60 years ago.